The internet never sleeps, and neither should your communication efforts. Marketing Automation (aka. Sales & Marketing Automation) is the implementation of software and technology to automate specific tactics in order to increase qualified leads and drive sales. The most common practice involves communications using an automated email system, where the customer’s behavior drives the conversation. The internet is the most widely used information gathering tool in the world… EVER. It’s estimated that there are 3.2 billion internet users a day. That’s half the world’s population, and each person is searching for something. With so much activity and opportunity, it is virtually impossible for your salespeople to consistently communicate with so many potential customers. Even in a B2B setting. However, with the implementation of Marketing Automation, you will have a virtual salesperson who never sleeps, calls in sick, or takes a vacation. Rather, you will finally have a sales presence that is ready to engage people around the clock — whenever they are searching for your information. As a result of providing insightful information that relates directly to each person’s needs, at the time they are searching, you will end up with more qualified leads and sales conversions than ever before! The use of marketing automation software also provides you with quantitative insight into your communication, marketing, and sales efforts. You’re able to gauge which campaigns, tactics, and market segments generate the best ROI and which ones need better optimization. With that information and the right strategy, your marketing and sales team can thrive in any industry with any target audience. 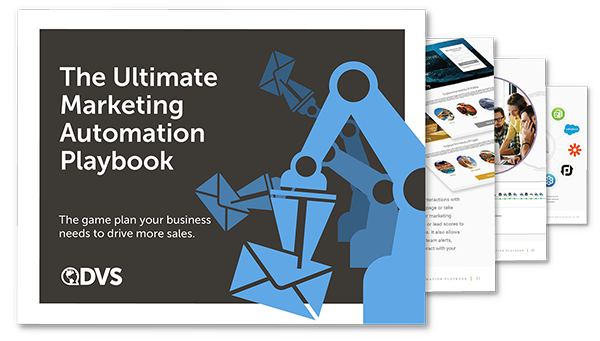 The ultimate guide to transforming your marketing into an automated system that drives more sales! An automated conversation controlled by technology might sound a little like something from The Terminator, but we promise it is not that scary. Below are key steps of the buyer’s journey when marketing automation is implemented to generate quality leads and drive sales. Initial Interaction: A connection between a target audience member and your company is born, usually from a digital platform (your website, online ads, social media, search results, etc. ), over the phone, or even face-to-face. Information Submission: Next, the visitor provides basic information about themselves, at least an email address, in return for receiving a piece of desired content (ie. whitepapers, infographics, etc.). At this point, the visitor is automatically added to the marketing automation system’s database (we use SharpSpring). Automated Interaction: Now the magic begins. Depending on the visitor’s past and present behavior, the marketing automation platform drives personalized communication (primarialy emails) that provide the user with valuable content and information that is specific to them and their interests. Depending upon the product / service and their stage in the buyer journey (awareness, consideration, decision), this process may be as short as a few days, or many months. The key here is reliance on automation, not a salespersons ability to remember to follow-up! Lead Generation: The automated interaction phase ultimately results in the delivery of a qualified lead to your sales team, or the disqualification of the lead as not appropriate for sales interaction. This process, if done correctly, drives actionable leads to your sales team, improves conversion to sales rates, increases brand recognition, and more! 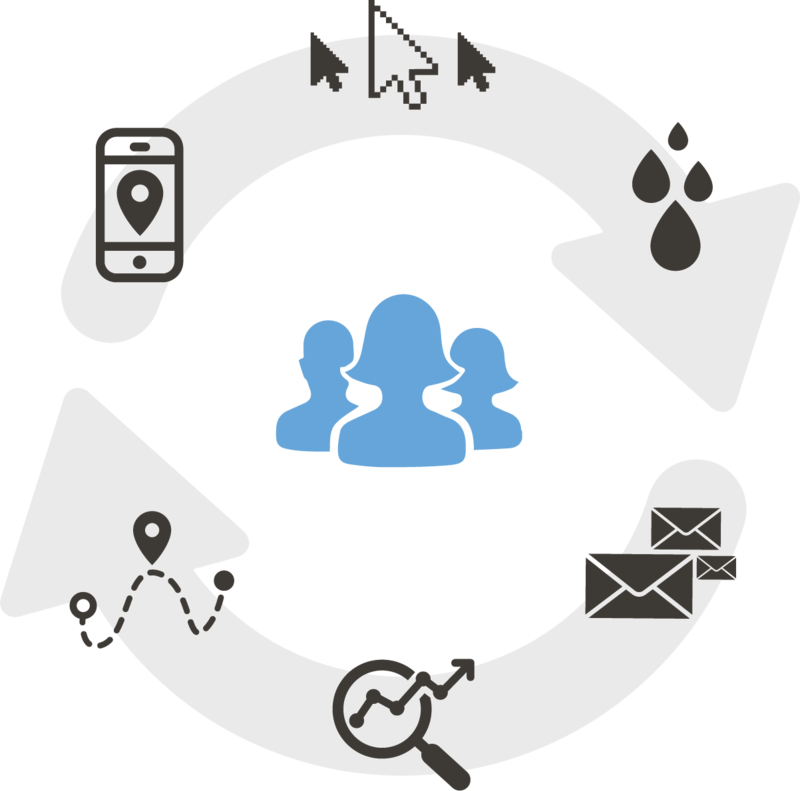 Each company, industry, and target audience requires a unique marketing automation strategy. To provide you an idea of our process at DVS, below are the essential steps we follow when designing and implementing a marketing automation plan. First, we identify who your target audience is. We research, interview, and analyze to determine the best messaging and tactics’ focus for your business. After we discover your target audience, we take it a step further and identify your market segments, because there is never a one-size-fits-all scenario when it comes to marketing automation. Next, based on your who & market segments, we identify the specific objectives that you want your marketing efforts to accomplish with specific, quantifiable, and attainable goals. Now it’s time to dig deeper. We research your audience segments and identify the messaging that best conveys why your products and services improve their lives. Speaking to your audience in their language, not yours, is crucial to connecting with and moving them to a desired action. Here we use the research, data, and messaging to design an action plan that most effectively reaches and communicates with your audience segments. Of critical importance is the development of a strategy where the user drives the conversation through their behavior and interactions. This user driven approach is key marketing to today’s customer. Once we have solid action plans, we build! This is the stage where we design & develop the tools needed to implement a successful automated marketing campaign. We create tools such as landing pages, email templates, videos, and advertisements. Basically, whatever is needed to reach, engage, nurture, and inspire your audience toward the desired action. Now that we have all of our tools and strategy we execute. We launch the marketing automation campaigns and begin the lead generation process, creating a 24/7 communication channel that reaches, engages, and nurtures your market segments. Now that everything is underway, the work is not done — it’s time to review and optimize. With the analytical data now coming in, we have clear insight for where our efforts are and aren’t effective. We nuture those efforts that are paying off, and either re-strategize & optimize those that aren’t, or cut them. The Platform Matters — SharpSpring! DVS is an official Silver Certified partner of SharpSpring, the future of marketing automation. SharpSpring is the cutting-edge, agile marketing automation platform that delivers all of the features of competitor platforms, at a fraction of the cost.